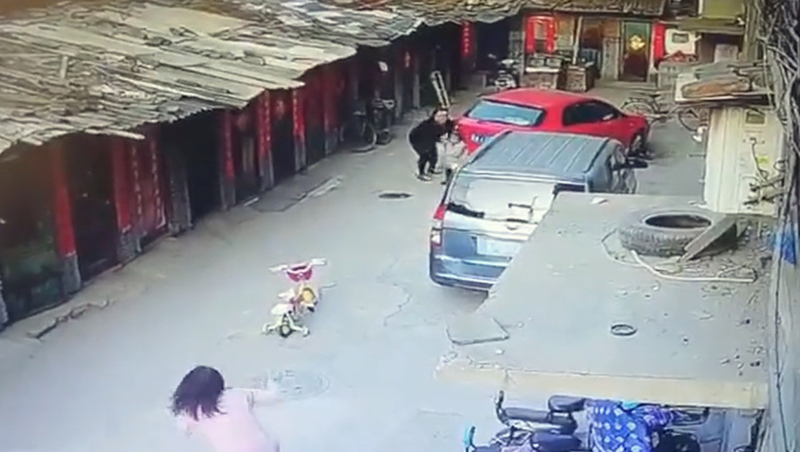 This shocking footage shows a six-year-old girl’s neighbour suddenly grabbing her and hacking into her face with a meat cleaver while her horrified mum runs to her rescue. 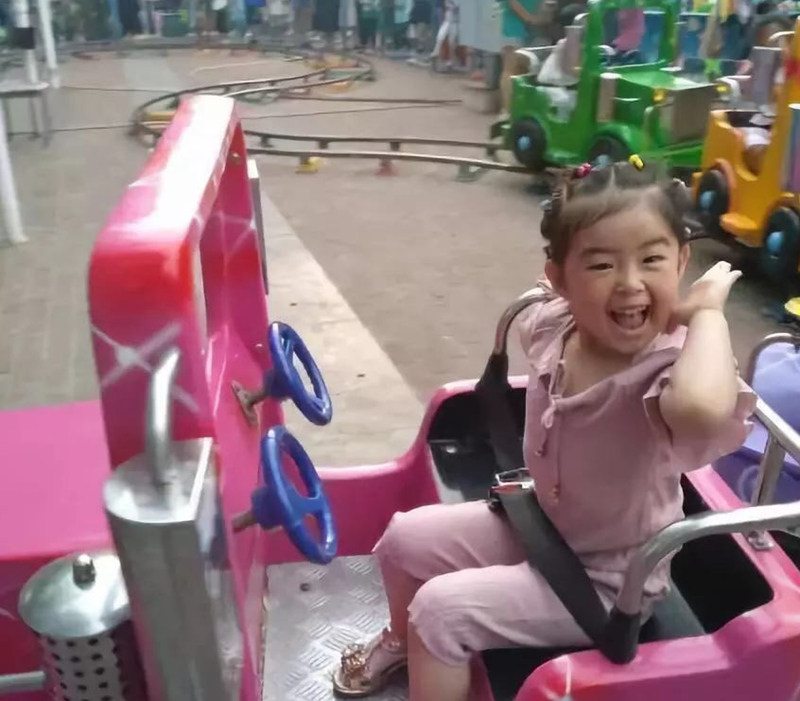 The incident was captured by a surveillance camera outside the six-year-old’s home in the city of Taiyuan, capital of Shanxi Province in North China. 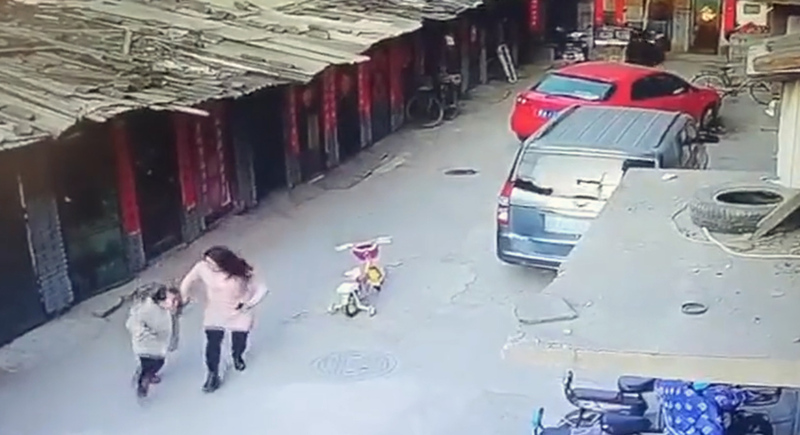 The clip shows the girl, named only as ‘Yao Yao’, playing near her mum, surnamed Wang, when the unnamed neighbour suddenly appears and repeatedly swings the blade at her face. 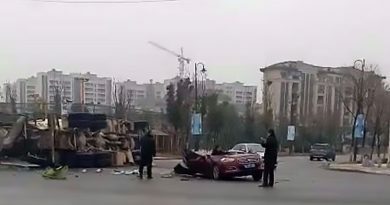 Wang is still looking at her mobile phone when the attack begins, and she manages to pull Yao Yao away after the girl has been struck five times, with the neighbour then seemingly disappearing back into her home. 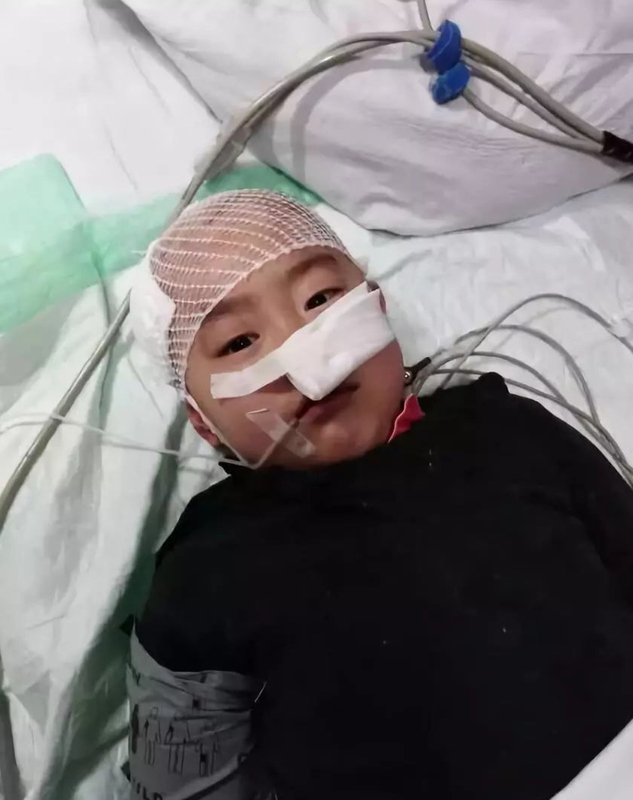 Yao Yao was later taken to Shanxi Children’s Hospital by a taxi driver, Liu Yanfei, who spotted the distressed mum by the roadside and offered to give her and the injured girl a lift. 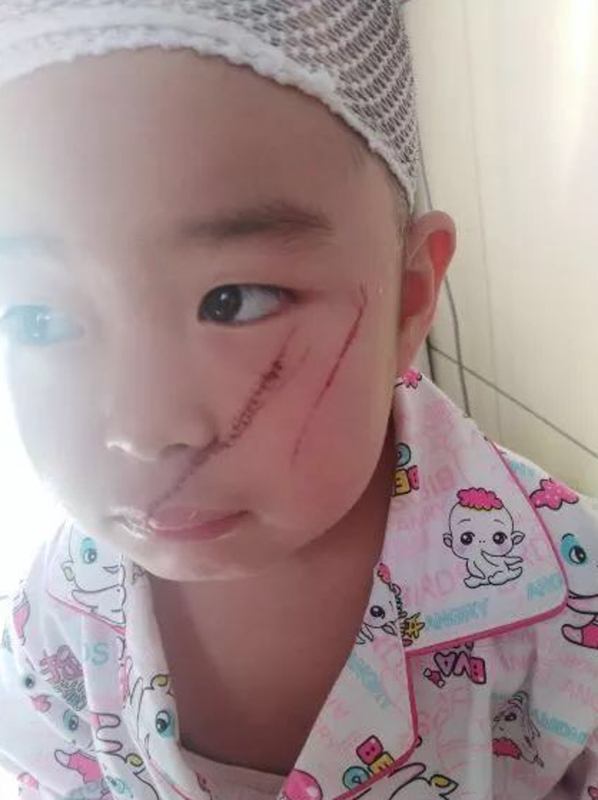 Yao Yao was found to have been struck twice on the head, twice on the face and once on her left hand, which split her little finger open and exposed the bone. 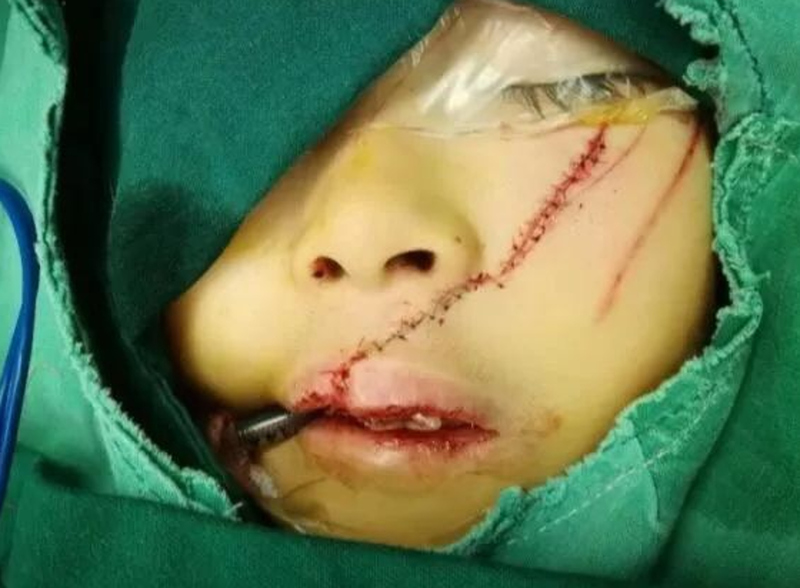 One laceration on her face stretched from the corner of her left eye to the top of her lip, images show. 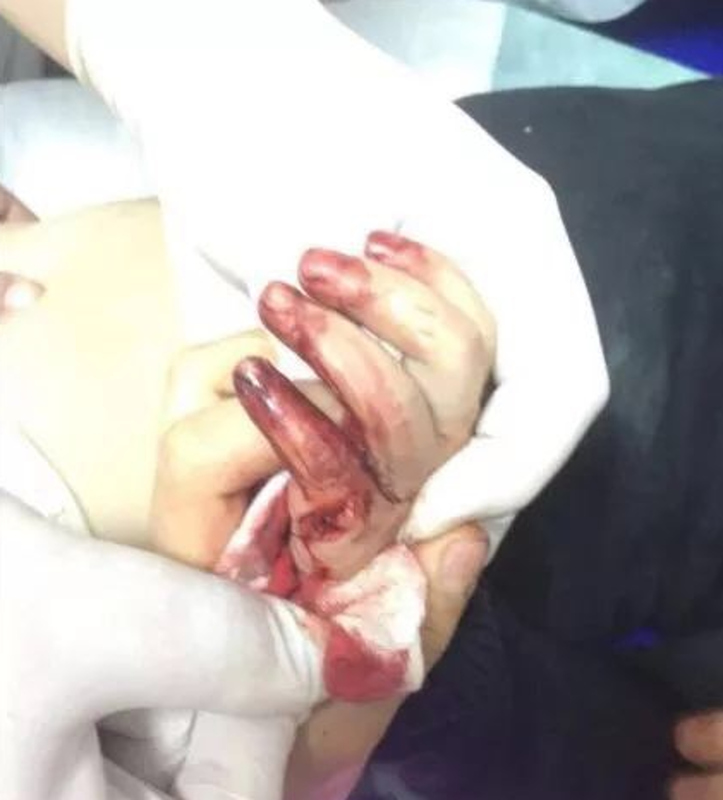 She also suffered a broken tooth, but doctors said she was fortunately not in any critical condition following the attack, which is still being investigated by the police. 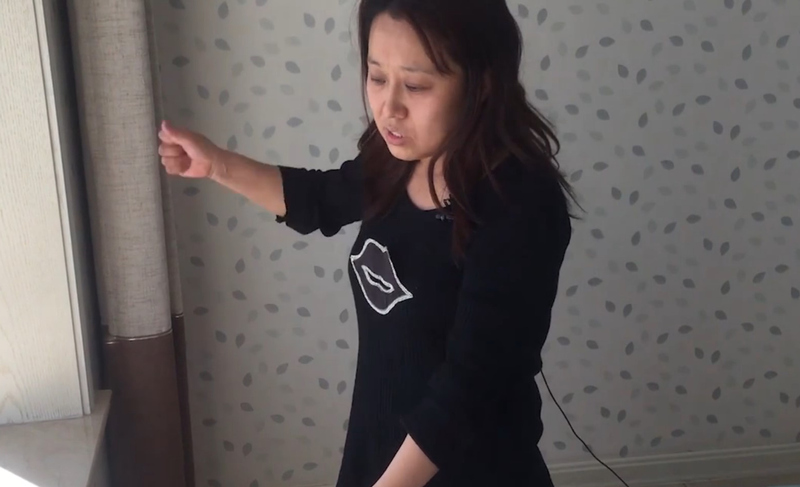 “I watched it play out in front of my eyes. 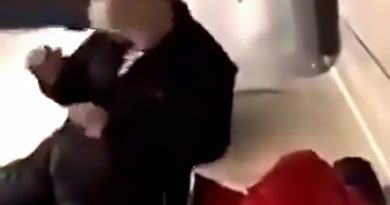 My mind went blank,” Wang added. 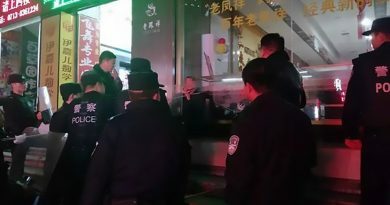 According to reports, the neighbour’s family members have said the assailant suffers from mental illness but the police, who did not reveal whether she was arrested, say they are still working to confirm the claim. 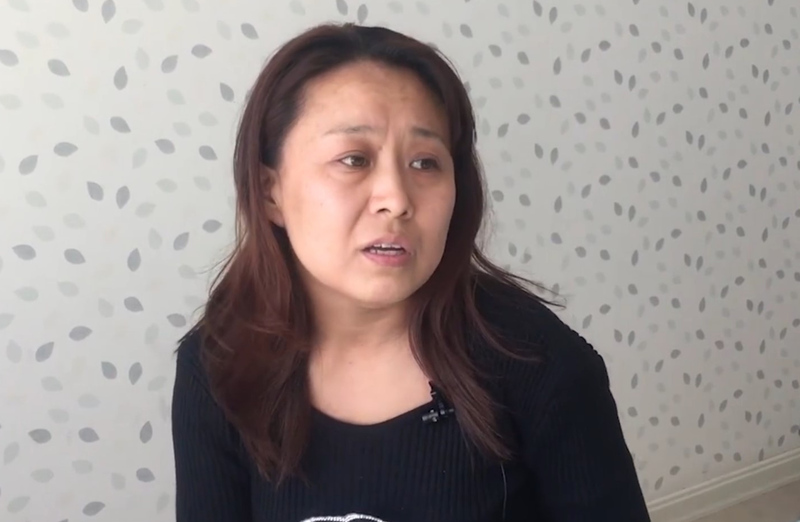 Meanwhile, Yao Yao’s doctors have revealed she will require extensive plastic surgery to repair her face. 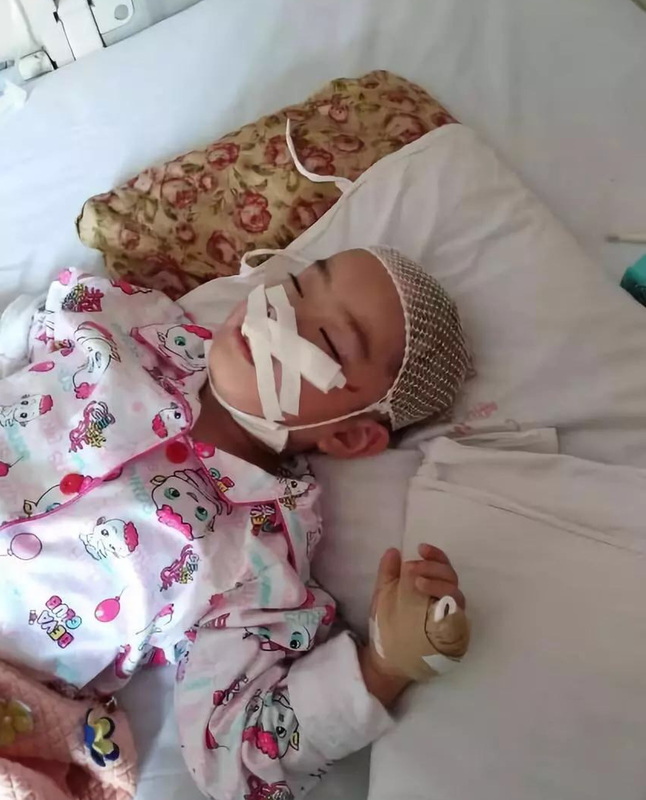 The cost of treatment plus first-stage cosmetic surgery alone would exceed 300,000 RMB (34,145 GBP), they said. 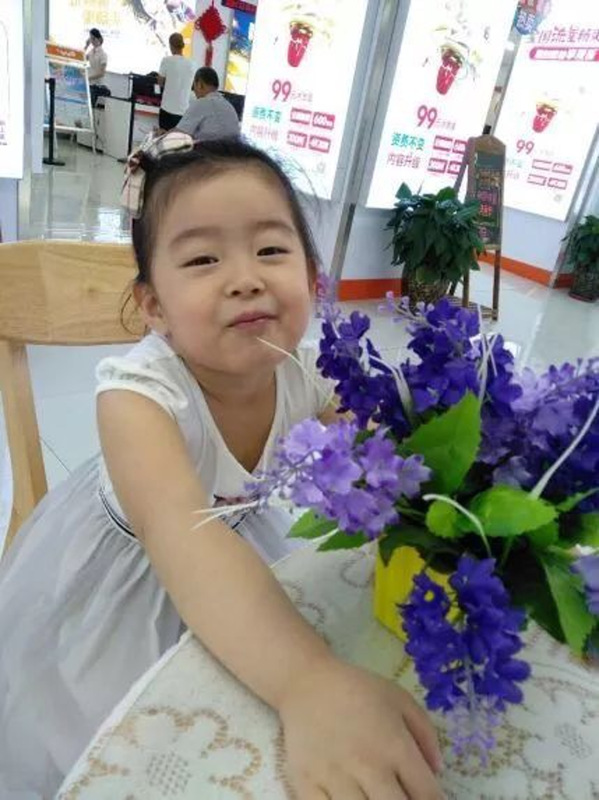 However, more than 12,000 members of the public have already donated generously to her family. 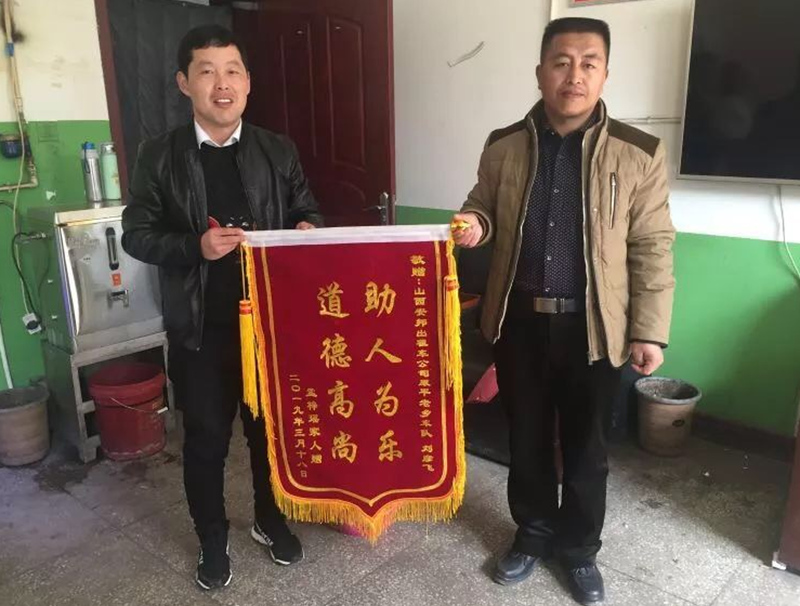 As of 27th March, 232,741 RMB (26,490 GBP) had been collected for Yao Yao on the patient-focused crowdfunding platform Shuidi – Mandarin for ‘water droplet’.